I have a regular need to create visual processes. Right now the one Im working on has topics around like an imaginary circle. I'd like to have wide arrows following the circle to show the flow of steps to follow. What is the best way to create these arrows? A tutorial would be ideal. No time for a tutorial just now. Quick description. Start by using the circle shape tool. Use the tool option to convert to a donut. That lets you make a ring. Then use the pie tool, and get the arc section you need, say less than 1/3 or 1/4, of the circumference. You can then use the polygon tool to draw triangle. Or the pen tool in polygon mode. Make the triangle arrow head. Copy that. 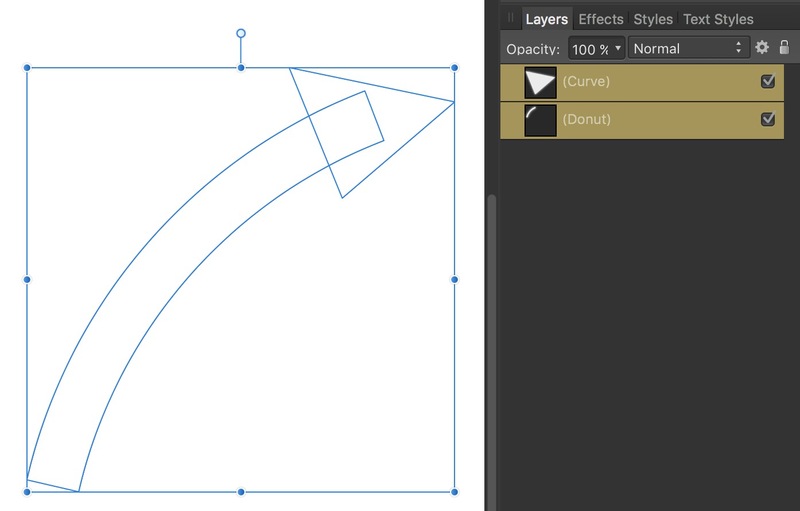 Rotate to get the arrow point in the right direction at the end of an arc section. Place it where it needs to be. Use the boolean add operator with the circle section and the triangle, Repeat for the other sections.